Ever since the 1880s, Colton CA has been an important waypoint on the Union Pacific Railroad. It is the location of an important railroad crossing, where the Union Pacific’s tracks cross those of the Burlington Northern Santa Fe Railroad. In order to improve the efficiency of transporting goods from the sea to the interior by rail, this crossing is being updated. Naturally the construction has brought lots of hydraulic equipment to Colton CA. 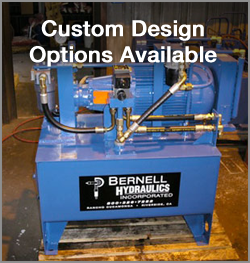 Bernell Hydraulics is proud to help keep that equipment running smoothly by providing quality hydraulic parts for all kinds of machinery.